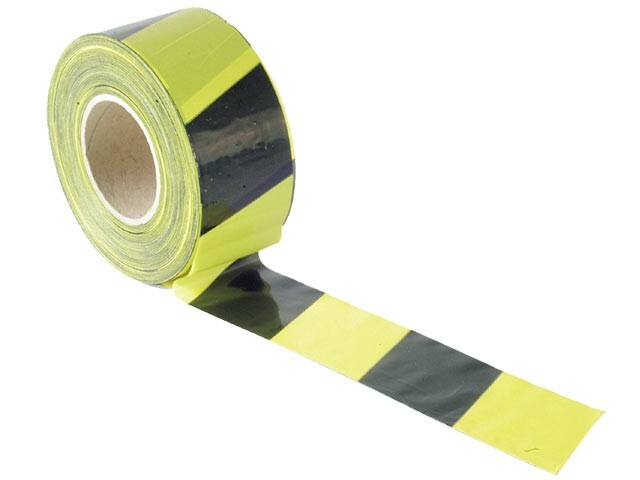 A strong, durable non-adhesive PVC tape used for marking out or cordoning off areas. The highly contrasting coloured stripes serve as a clear visual warning and also present a barrier to areas that require to be sectioned off. Suitable for a wide range of uses in various trades and services that include, construction sites, factories, warehouses, emergency services and many other situations where safety of personnel is a priority.